Top Wines of 2013 That Were Down Right Cool. Can I really write about the top wines of 2013 in a single post? I don’t think so. There are too many wines which deserve recognition. The problem is that I can’t remember them all. Ha! You may ask, “if you can’t remember them, were they really the top wines of 2013?” I guess the answer would be no. However, I have to account for memory loss. The wines might have been exceptional, but due to my genetics and college years, I may have forgotten some gems. I can write a post about the wine that were down right cool in 2013. Luckily, when I taste wines I take pretty good notes. Looking back through my journals, I present to you my list of wines that were down right cool. This is a better title anyways. 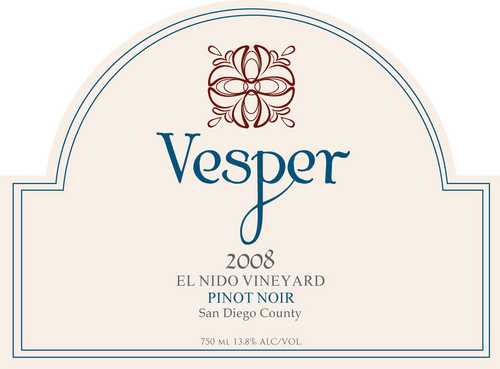 1) Vesper Vineyards Pinot Noir “El Nido Vineyard” Rancho Santa Fe San Diego, What? A wine from San Diego? What?! A Pinot Noir from San Diego!? Yep. How can a wine such as this not stand out? Chris Broomell of Vesper Vineyards makes a Pinot Noir from a small vineyard in the back of someone’s home. The vines, planted on sandstone and influenced by the cool fog from the Pacific Ocean, are true to Pinot’s typicity. The wine is unfiltered and racked directly into bottle. I think Chris only made 1 barrel, it was good! Wines such as these are unforgettable. You may also want to check out their Carignan and Carignan field blends. 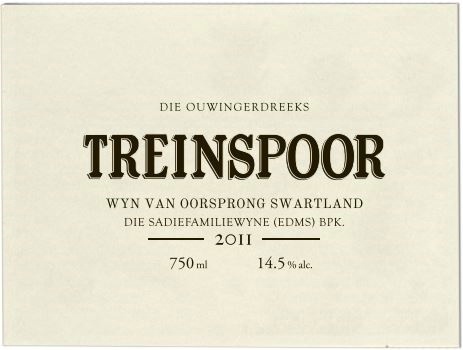 2) Sadie Family Treinspoor Tinta Barroca South Africa. Yeah, I’m a wine geek. This wine is made with a Portuguese variety, Tinta Barocca, grown in the schist soils of South Africa by a naturalist, Eben Sadie. The wine is light bodied, has high acid and emits interesting aromas of spices and mineral. I remember driving the wine key into the wax seal, pulling out the cork and pouring it for my wife and friends. At first the wine was, eh, okay. However, as it sat in the glass and oxygen began to perk up the wine, the wine became wonderful. Super complex yet light and elegant. It reminded me of great Burgundy from a great year. 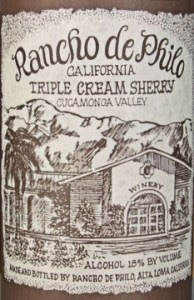 3) Rancho de Philo Rancho Cucamonga Triple Cream Sherry. I tasted this during the Sommelier Challenge Wine Competition. This was the shocker that caused buzz among all the judges. I tasted it at the end of the competition when we were voting for the best wine. After tasting over 100 wines, the cream sherry really hit the spot. It had oxidized caramel and nutty flavors with a complimentary sweetness and long finish. Give me it with pecan pie, a cigar or just the sherry on its own, and I will be completely satisfied. 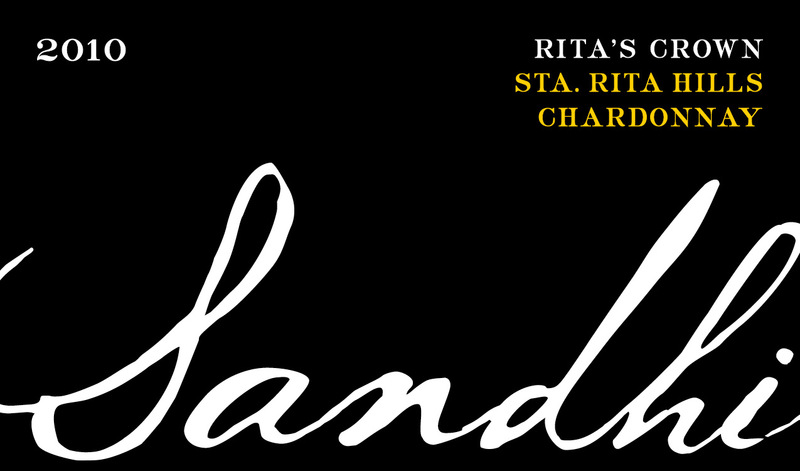 4) Sandhi Chardonnay “Rita’s Crown” Santa Rita Hills. I always tell people, I am not much of a Chardonnay drinker, however; every one of my year-end lists always featured a Chardonnay. Go figure, typical Sagittarius, so wishy-washy. I came across this wine at the in Pursuit of Balance tasting where winemaker, Raj Parr shared his Chardonnay with the trade in a Chardonnay seminar. It was the one Chardonnay that stood out from the rest. Every winemaker there was talking about terroir and balance, but this wine walked the talk. If we could cut Burgundy out of France and transport it here in California, this is what the wines would taste like. Rich, yet linear with great acidity. 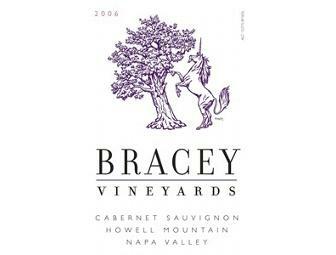 5) Bracey Vineyards Howell Mountain Cabernet Sauvignon 2006. I also tell people, I don’t drink Cabernet Sauvignon. Well here I am talking about Napa Cab as one of my more memorable wines of 2013. I really like this story because I stumbled upon the wines blindly. Literally, blind. I first learned about Bracey while judging at the San Diego International Wine Competition where we awarded it the best wine of the show. Since then, I have built a good relationship with winemaker, Robert Bracey. On his last visit to San Diego we tasted through his wines. All were very good, but the 2006 Howell Mountain really stood out. The wine has the power of Napa, the backbone of the mountains and as it has aged it’s just drinking very nicely. These wines are hard to find. I am sure if you contact Robert, he will set you up. Well worth the search. 6) Raventos Reserva de la Finca 2007 was one of the top bubbly wines of 2013. These guys were the original Cava producers and today believe that their estate produces wines that deserve to stand out from Cava. 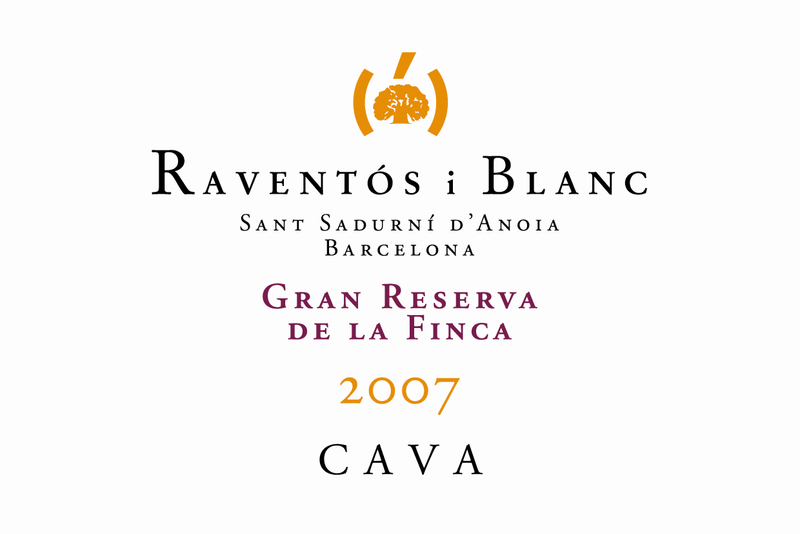 No longer will you see Cava on the label, but a place of origin, Sant Sandurni d’ Anoia. All I can say is that there was so much complexity in this sparkling wine that I can still savor the honied, floral oxidative bubbles. Oh my god, I just wet myself again. And at $40 a bottle it blows Veuve out of the water. 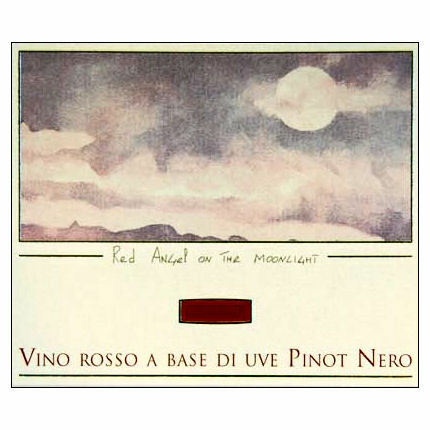 7) Jermann Pinot Nero “Red Angel on the Moonlight” Italy 2009. I just love these wines. There is nothing like northern Italian wine. They really understand wine! Jermann strives to show the grape and how it relates to the place it came from. While many wine makers take what they can get and then try to make repairs in the winery, the Northern Italians treat it as raising a child of their very own. I know that as a parent, I would rather raise a child that I had control over in its infancy than raising someone else’s kid. The Pinot Noir has a spiced cherry and blackberry aroma with flavors of rhubarb. But what I really like about it is that I can taste iron and minerals. This is how wine should be. 8) Marichal Tannat Canelones Uruguay 2011. This wine reminds me of my trip to Brazil a few years ago. I am impressed with what is coming out of the region. I have tried several Tannats from Uruguay and I have never been impressed. What I learned about Brazilian Tannat was that they were best when left un-oaked. The Marichal Tannat is also unoaked. I got flavors of licorice, raisins, figs and boysenberries. MMM, MMM…sounds like a nice winter cookie. I am not telling people to go out and drink Uruguay Tannat, because most do not taste like this. But what I am saying is go and try Marichal’s Tannat because this is the potential of Tannat and hopefully we’ll see more like this in the future. 9) Kuleto “India Ink” Napa 2010. Good old Bob Foley has gone and done it again. He has purchased another winery, this time an under estimated property of Napa, Kuleto. What I am really digging are their red blends. The are not the fruity-tuttie red blends others are producing. These wines are deep, dark and intense. They also make a wine called “Native Son” which is Cabernet, Sangiovese and Zinfandel. Although it too is good, I prefer the India Ink. 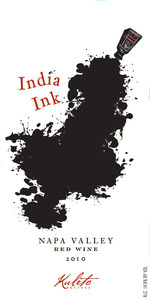 India Ink is a blend of Syrah and Cabernet Sauvignon. It has aromas of purple flowers, coconut and red berries. This wine stood out so much that I put it on the core wine list for the Cohn Restaurant Group. 10) RdV Vineyards “Lost Mountain” Cabernet Sauvignon & Merlot Virginia. Yes, Virginia in the United States. If you haven’t caught on already, I like wines from strange places. Well to most Virginians, wines from Virginia are not strange. But to the rest of the world, “duh, What!” It was not very strange for me for two reasons. One being that while I was on a bus travelling through Washington State’s wine regions, there was a fellow sommelier who could not stop talking about Virginia wines, Andrew Stover. Secondly, when you judge wine competitions you are bound to come across several wines from Virginia. But what we do not come across are wines such as the RdV “Lost Mountian”, delicious and mind-blowing. The wines are made by Eric Boissenot , who trained at Chateau Latour. What brings a man of such stature to Virginia? The soil! The granite hills of Virginia were calling him to bring Bordeaux to Virginia. When I tasted the wines I was literally dumbfounded to hear that they were not from Napa. I presume these wines would have pleased Thomas Jefferson, a devout lover of Bordeaux & Virginia. I think of these wines being similar to what Opus was like back in the day when it was first produced. If you ever stumble upon this little secret, buy it, buy a lot of it! 1/Parawa Estates Ingalalla 2007 – probably the Southern Hemisphere’s only “1st Growth” this Bordeaux blend was designed from go to whoa to take on the Bordelaise. The vineyard site was specifically chosen and multiple clones of each of the “Bordeaux” varieties were planted so as to add complexity to the final blend. This is an amazing wine which has outpointed the First growth’s in blind tastings with several MW’s in the panels. Truly awesome and very very limited. 2/ Familie Courtois ” Les Cailloux du Paradis’racines” Rouge 2008 – make from 20 different varieties (many of them almost extinct) by a true organic wine “farmer” Claude Courtois in the Loire Valley- all natural wine with an amazing depth and complexity and a long life in front of it. probably the world’s best Merlot new from Jim Irvine (twice voted ” Best Merlot Maker in the World) whose Grand Merlot is simply stunning but the new Royale is a cut above that and in my opinion just shades out Chateau Petrus for the title of ” Best Merlot in the World”. MWCC- Quattro Member Wine Century Club. I better put that on my list to taste. Thanks for sharing.